We are proud to announce you this site, which has the aim to elevate Dodgeball promoting, spreading and publicizing it. It’s not easy, it involves a big determination, but as long as we love this sport, we have the duty of representing and protecting it. We didn’t come out of nowhere, we’re humble players: boys and girls who’ve spent their time in this environment for years and now know it needs to be improved and innovated. The will and the passion we have will make us remember the true values of this choice. The dedication, commitment and reliability we promise will be always the best someone can offer, as long as there are people with the passion and love for Dodgeball. Fairness and consistency will be our moral compasses. It’s time to think for future of this fantastic sport, we are aware of building something great that will survive, making us proud of having determined this moment. 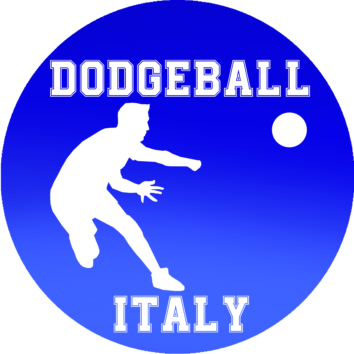 Dodgeball Italy is a non-profit-community of volunteers which claims the most valuable source of contents and group of dodgeball experts in our Country. It aims to be the first and best organization with the recognition of CONI and the State autorities in Italy. Dodgeball Italy makes the sport grow and be accessible for italians of all ages, in gyms, schools, beaches, recreative centers, sport clubs and wherever we are able to show and share our passion. It collaborates with all Clubs Presidents and Regional references to always offer the best events, improve our rules and make all players part of a comunity. Dodgeball Italy is a trasparent organization based on trust and cohesion between its members.